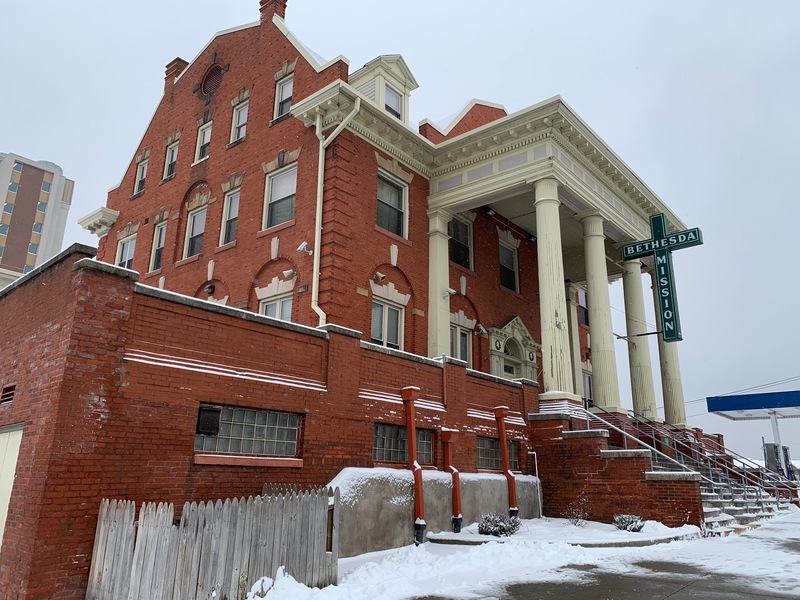 I want to share with you the wonderful blessings and the challenges we are experiencing at Bethesda Men’s Mission, the iconic landmark at 611 Reily Street, which was formerly a Pennsylvania Railroad YMCA that was purchased for only $10,000 in 1934. God is mightily opening doors into the minds and hearts of hurting men at this “house of mercy” (as “Bethesda” means in Greek). Great News – DDB who opened a night shelter in the winter of 2017/18, is presently operating the night shelter for this winter as well, and has even received full funding to operate it during the winter of 2019/20. 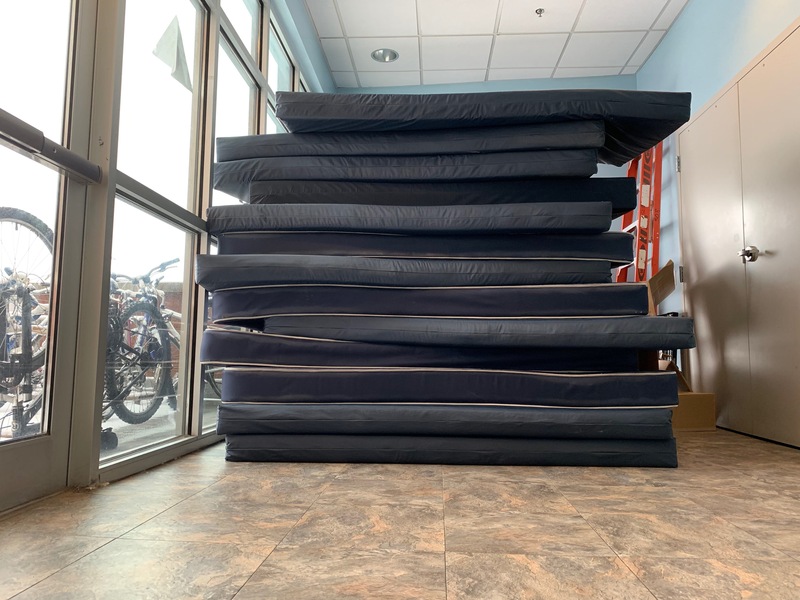 DDB is consistently near full capacity of 40 men for the night shelter. These men would have been coming to Bethesda, swelling our census to 150-160 rather than the more manageable 110-120. DDB also operates a day shelter and consistently serves 90-100 chronically homeless men and women. This collaboration has resulted in significant community and donor support for both agencies. 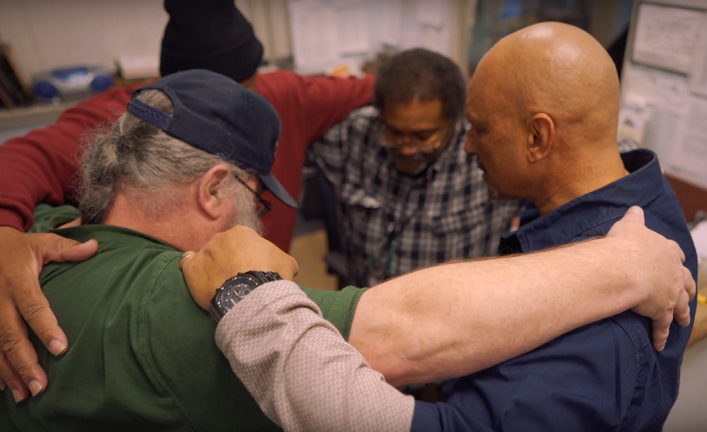 During 2019, Bethesda Mission, DDB, and Christian Churches United will continue monthly meetings supporting each other as we address the needs of men and women in various stages of homelessness in Harrisburg. Economically, these men are no longer creating havoc and hardship in their former residence, no longer in and out of prison, and significantly reducing trips to the hospital emergency department since our medical and dental clinics are providing excellent care on site. The graduation ceremony at the Men’s Mission on December 20, 2018 was a testimony to the fruit which has been growing from these changes. A standing-room-only crowd witnessed seven men graduating from the long-term “Helmsman” recovery program. Many guests who had been in the recovery program for several months were acknowledged for making significant progress, along with several “alumni” who came for this celebration and have been involved in encouraging current guests. One gentleman sitting near me was overwhelmed when Bill Christian, Men’s Mission director, included him when acknowledging and encouraging the newer guests who had made good progress toward recovery so far. This all signifies the value of encouragement and relationship building for all guests regardless of their personal stage of recovery. Each guest receives guidance and access to excellent medical and dental care, drug and alcohol counseling, social services, life-skills training, and occupational opportunities. Our foundation — our core value offered to every guest — is to discover that God loves them and to build a personal faith, trust, and relationship with Jesus Christ. Every one of the “Helmsman” graduates shared their experiences and testified to being changed through placing their faith and trust in the Savior. What has been fascinating and so encouraging is that several new guests, upon hearing the gospel, have responded to the call to humbly yield their wills, to stop running away from God and allow Him to influence their minds and hearts. The ability to spend more intentional time listening and encouraging these new guests has been very rewarding. A guest who enters our Men’s Mission seeking addiction recovery can stay at Bethesda for 20 days on medications like Suboxone and Methadone, which are used by medical facilities to manage addictions. If a guest wishes to manage their addiction in this way, we refer them to medical facilities who are better equipped and designed for longer-term use of these medications. Guests return to our shelters when they don’t want to continue using these drugs. Bethesda has had poor results with guests on these medications in both our men’s and women’s shelters. It is insensitive and unhelpful for our program guests who are abstaining from drugs/alcohol to have other program guests on narcotics, and both Bethesda shelters report an increase in relapse when trying to accommodate both types of guests. For us, recovery means more than helping our guests be free from addiction. We believe in a God who is able to transform an individual’s life and lead him or her out of addiction to a life that is drug and alcohol free – abstinence is a program value at Bethesda. 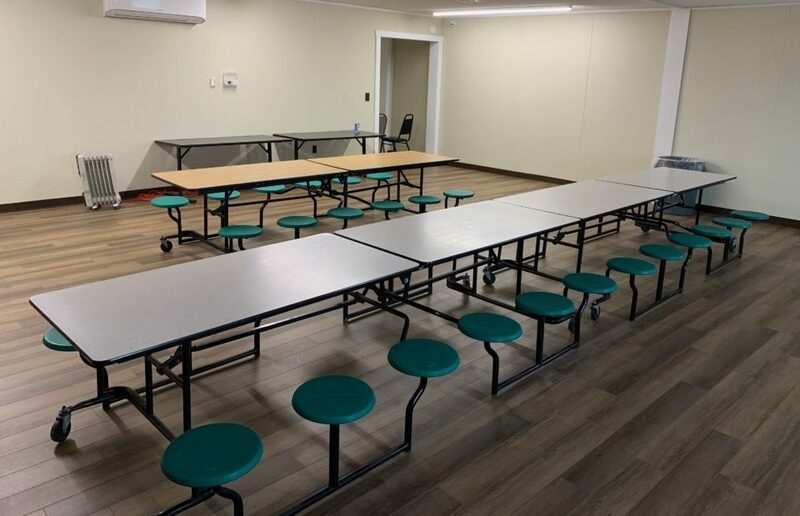 The wonderful donation of a 66’ x 24’ trailer has provided seating for an additional 75+ individuals in an expanded cafeteria setting. Coupled with our existing Men’s Mission cafeteria, we can now accommodate all guests in one seating. It has also made space for a better donation center. The cost to retrofit the trailer is $58,730, so we are seeking different sources of funds to pay for this improvement. This project represents a five-year solution until a three-story addition can be built to house the permanent expansion of the kitchen/cafeteria, donation center, and two more stories of dormitory space. Bethesda continues to explore the possibility of a land lease with a developer to construct or improve a parking facility/garage on our existing surface lot, which, in addition to spaces for Bethesda staff & visitors, would provide monthly and daily spaces for employees, jurors, and visitors to the new 243,000 sf federal courthouse, expected to be completed in 2022. May His blessings continue to flow into our lives and challenge us to continue walking with Him hand-in-hand on this journey of reaching hurting men, women, and children with real hope. Your willingness to join with us in partnership is deeply appreciated and I trust it is an inspiration in your life, knowing the daily and eternal impact you are having!